Sick of fleas? So are we! There’s only a few things in the dog world that are worse than a flea infestation. Just the thought of seeing your four-pawed pal distressed and scratching uncontrollably is enough to send any pup parent into a frenzy. If you’re currently that frenzied pup parent - keep reading to find out how to rid your pup of these pesky fleas! So, what’s the need-to-know information on fleas? Well, dogs usually get infested with fleas through contact with other animals or through contact with fleas in the environment. Although fleas can’t fly, they have strong back legs, allowing them to jump from host to host or from the environment to a host. If bitten by a flea some reactions to look out for include hair loss from excessive itching; inflammation and secondary skin infections. Furthermore, some pets are hypersensitive to flea saliva causing them to frantically itch all over from just one bite. 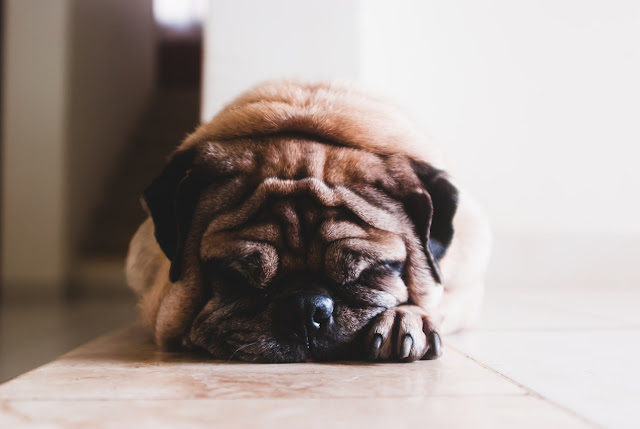 Although fleas are often seen as a ‘summer’ problem, as pet owners we should never press pause on our flea control duties as the earlier on in flea season we start treating our pups, the better. If it’s a bit too late for ‘pre-season’ prep and you’ve read what seems like a million articles on flea control and are feeling a little overwhelmed – don’t stress, we’ve got you! Fortunately, we have done the hard part and researched the best flea-fixes in an easy to follow step by step order. 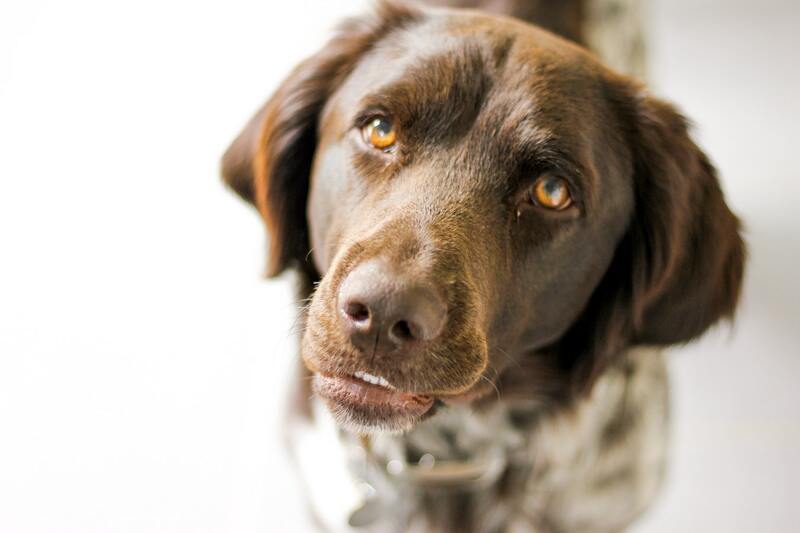 Before beginning to de-flea your pet, you need to start with their belonging. You want to wash everything that your dog sleeps on and lounges on - all blankets, pillows and cushions. 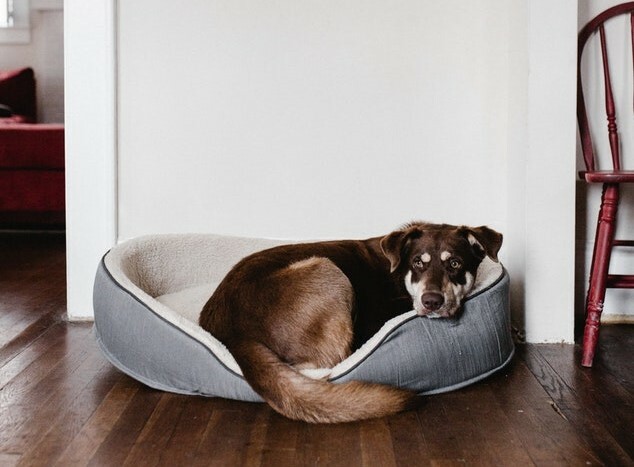 Your dog's bedding can be harboring loads of flea eggs and pupae so you don't want to risk them hatching and adding to the flea infestation. To go the extra mile, you may even want wash all your belongings – especially if you know it has come in contact with your dog. Luckily, fleas at all life stages can’t survive temperatures above 35°C so the washer and dryer will take care of everything from adult fleas to flea eggs. If your pups’ flea infestation is really bad and your dog is suffering immensely, flea medications are a quick way to ease your dogs pain. 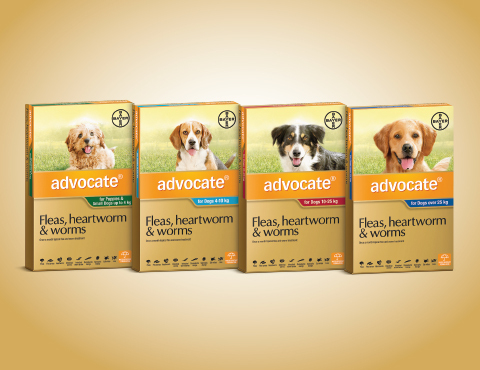 Advocate flea treatment for dogs is a topical treatment and the fastest way to kill a majority of the fleas living on your dog – it’ll stops fleas feeding within 3 to 5 minutes, killing adult fleas and their larvae within 20 minutes breaking the flea lifecycle. 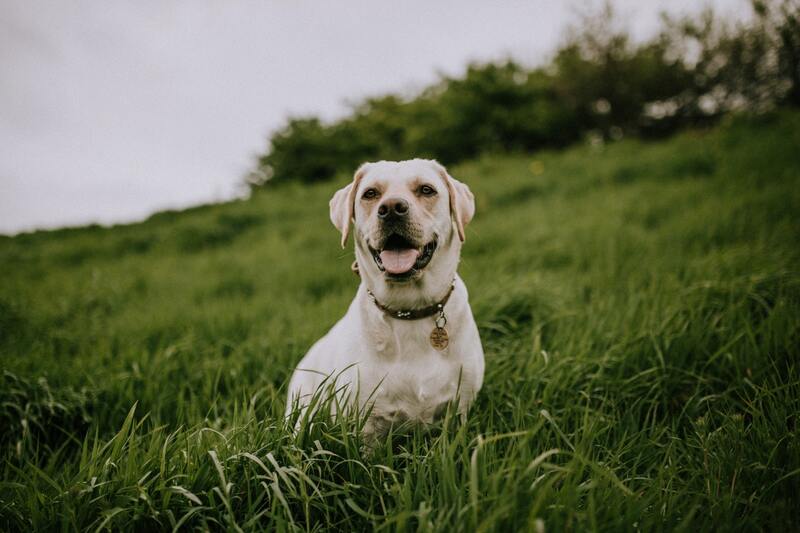 Furthermore, if you continue to use Advocate flea treatment for dogs as a monthly treatment it will help protect your dog against reoccurring flea infestations; allowing you to keep on top of the problem. Most people you ask will suggest a flea bath and there's good reason why! A flea bath is the first line of defense against a flea infestation; it allows you to quickly and easily kill off a good chunk of fleas living on your dog and it provides your dog with some immediate relief from the pain and itchiness of flea bites. 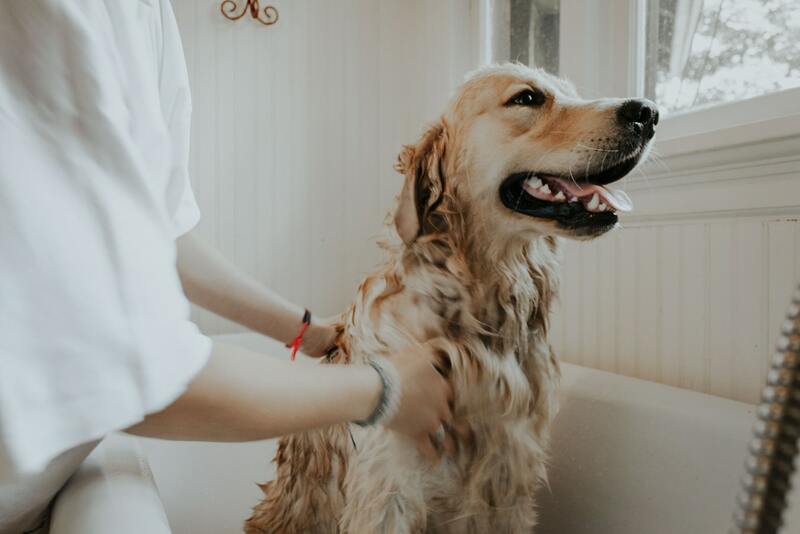 Before you start the shampooing, we suggest wetting and lathering up the neck to make a sort of "flea shampoo collar" around your dog's neck. This will prevent the fleas from running up your dog's body to their face. Step Four: Comb, Comb, Comb! Sure, it's time-consuming but it's been suggested as a great, all-natural way to get dead fleas - as well as the pesky fleas that didn't die from the shampooing. Plus going over your dog's coat with a flea comb also allows you to remove other yuckies left behind from the fleas that you don't want hanging around in your dog's fur. The final step to get rid of fleas on your dog is to get rid of fleas in your home. You've already done the laundry at so now it's time to go where the majority of the flea infestation lives - the carpet. When your home becomes infested with fleas, most of the flea eggs eventually wind up in the carpet, which is why this is a crucial step to getting rid of fleas for good. A smart thing to do is to constantly rotate between vacuuming, steaming and bought or natural flea killers. 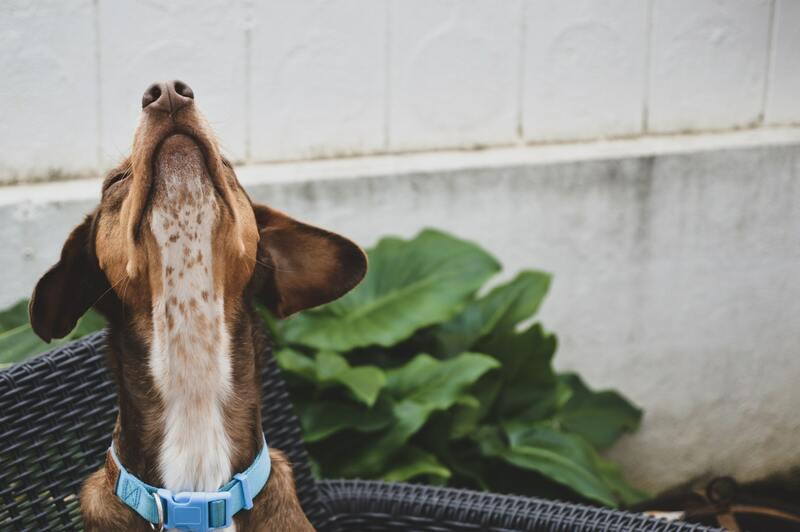 Once you’ve got your pup – and house – under control we suggest looking into spot-on treatments or flea collars to keep your pups prepped and ready for flea season all year round!